I always love to do makeup looks inspired by my ever-inspirational aquarium. It's bright, colorful, and serene. 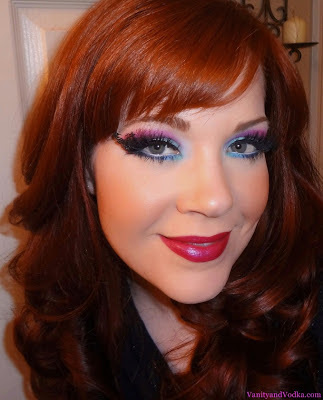 So for this look, I am turning it out with the help of Sugarpill's bright, bold colors! ♥ Paperself Under the Sea accent lashes. Hope you like it!! When Sugarpill is involved, YOU KNOW there is about to be some FIERCE up in here!! Hope you have a beautiful and blessed day! absolutely LOVE this! i love paperself lashes, they are so fun! 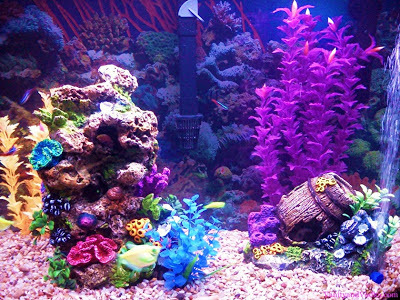 love this look, totally aquarium like! So pretty! Those lashes look awesome, maybe you can post close up photos of them. I just recd a Sugarpill loose eyeshadow trio and posted swatches. I love their shadows because they're so pigmented but of course at my age I don't wear them heavy or too bold. Wow I love your creativity hun. The lashes are amazing. Thank you, Simera!! I agree- the lashes are ADORBS! Wow!! Thank you so much!! Coming from you, that means the world. Thank you! I'm loving everything about this look! The colors are gorgeous and those paper lashes are awesome! Newest follower! Yay! Thank you, Duckie!! I'm so glad you like it! * I am not a diver, but I was in Swim Club growing up, and still hold the record, I'm sure, for the most times kicking the instructor in the face while trying to learn the backstroke. * I got my very first Red Cherry lashes late last week, having been inspired by the gorgeousness that you always create with them...two pairs of which were, in fact, 43s! I heart them! * I die over this look. Big, Bold, and Beautiful...just the way I LOVE it! HAHA!!! You crack me up, J!! I LOVE Dog The Bounty Hunter!! YAY!! Congrats on the lashes, can't wait to see what you do with them!! Thank you!! This was a lot of fun :-) GET SOME SUGARPILL LOL!! lol you're so funny :D I love this look! Soooooo gorgeous!!! Traci you are the sweetest :-) Thank you!! Everything about this look is amazing! LOVE THE LASHES TOO!!! Thank you, Vanessa! Truly appreciated :-) xoxo! Yay!! So glad you like it! Thank you! New follower from the Aloha hop! Love how you take inspirations (especially from nature!) and apply them to your make-up color schemes. Can't wait to see what other tricks you have up your sleeve! Wow, looks amazing! I could never pull off those Paperself Under the Sea accent lashes, but they look gorgeous on you! wow! you are soooo talented, I can't wait to read more of your posts! Hi Shel! Aloha :-) Thank you so much! !